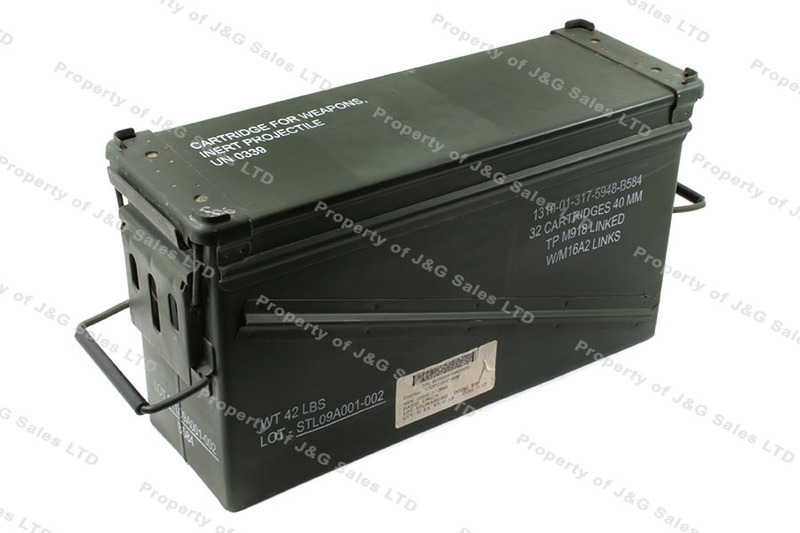 Ammo Can, 40mm Grenade, USGI, Steel, Used. Military surplus steel 40mm ammo cans for linked grenades, have double latches, one on each end. These are nice clean cans but are used and will show some wear and fading paint. The color of the can is often green but many cans are also orange or a mix of orange and white. They are solid and close well. Gaskets in good condition, external finish looks good. If you value your back, do not fill one of these up with .45ACP. These two cans are virtually brand new, no dents or dings of any kind. Great for storing my reloading powders . These ammo cans are in good shape and the price is right for the condition! I bought 2 of them .